Like Natural Living Ideas on Facebook for daily updates sharing the best tips, tricks and ideas for living the healthiest, happiest life possible... NATURALLY! The days are finally getting longer, the snow is (slowly!) beginning to melt, and spring officially arrives in just a few days! While the prospect of warmer weather has us all a bit giddy, we can’t forget the unwelcome intruders that tag along with the sunny summer weather. Yes, we are talking about mosquitoes, and everybody knows that they can be a huge nuisance. However, using chemical products to keep them away is not on the top of everyone’s wish list. Read on for some ideas of plants that repel mosquitoes – naturally! Chances are, you’ve heard of this one before- it’s one of the most common ingredients in most mosquito repellents. Strange enough though, many people don’t even know that citronella is actually a plant! Citronella is a beautiful perennial clumping grass that emits a strong aroma. That aroma masks other scents, and keeps mosquitoes from being attracted to things located around it. The citronella plant has a much stronger aroma than other mosquito repellents that contain citronella, so it is a great choice. Citronella is very easy to grow, and can get to be a very tall 5 or 6 feet high! You can grow citronella in pots and place it around a porch or patio, or you can plant it directly in a yard or garden bed. It’s a great choice for repelling mosquitoes naturally. Calling all cooks! Want a double whammy when it comes to mosquito protection? Plant some basil! Not only will you have a quick and easy mosquito repellent, you will also have a delicious fresh herb on hand to add to all of your favorite recipes! There are many different varieties of basil around, so feel free to experiment and find the ones that you like best. Many expert gardeners recommend trying lemon basil or cinnamon basil to deter insects. Most bugs despise the smell and taste of peppermint, so planting it around your home is a great way to keep them from dropping by uninvited! 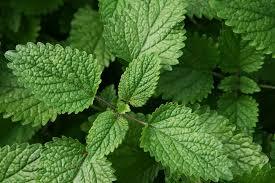 Plus, if you do happen to get bitten, peppermint leaves rubbed directly onto the skin make a great itch relief treatment! Added bonus for the wonderful minty smell that makes a delicious addition to food and beverages! The adorable pennyroyal flower is a natural deterrent for mosquitoes! Make sure to plant some around your flowerbeds! Pennyroyal plants also make great groundcovers, and they attract a plethora of beautiful butterflies. Some people even use pennyroyal to flavor certain fish dishes. As you can see, this plant has plenty of benefits! Plus you can simply snip a few springs off every time you need to add extra flavor to your lamb or steak!